Wigglebug Photography offers a range of professional quality photo products. All of our products are constructed with the highest quality materials and integrity. Color, sharpness, and clarity are guaranteed on all of our products. We believe that the photos that you have invested in should be proudly displayed in your home as works of art. 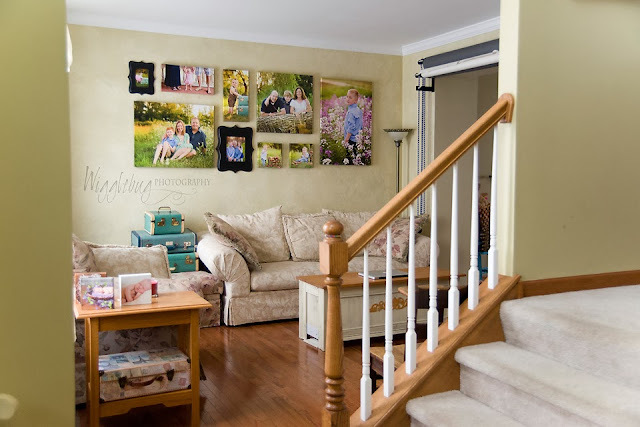 Our professional quality display products are what makes Wigglebug Photography one of the top professional photographers in the DeKalb Sycamore IL area. 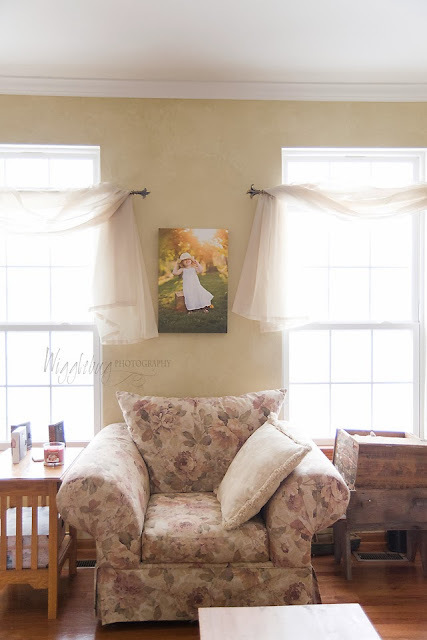 Canvas wraps can be purchased individually or in "groupings". Canvas wraps are our most popular item. Purchased as an individual piece, a canvas makes a great statement piece. Our professional quality canvas wraps include tightly wrapped corners, solid backing, and hanging elements pre-attached to the back. These elements make our canvas wraps a much better quality and value than consumer grade canvases.
" Thank you so much for all your help designing our canvas wall gallery! It looks amazing in our living room. I love seeing the beautiful photos of my children everyday!" 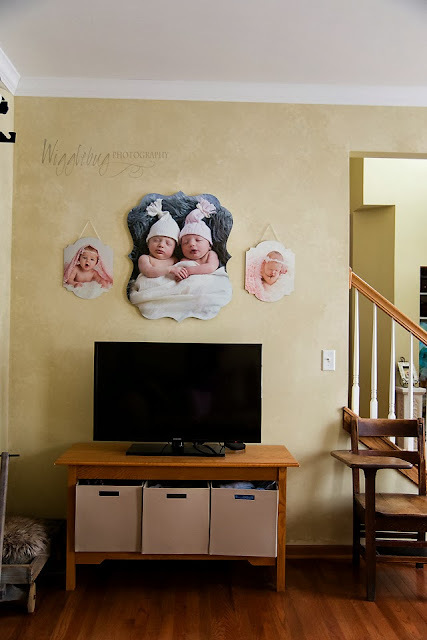 A grouping of canvas wraps is a brilliant way to display your custom images as artwork on your walls. Turn your home into an art gallery that features your most treasured memories! We can custom design a grouping for you. We even have an app that will show you exactly what YOUR images will look like on YOUR wall! Contact Tricia now to have her design one for you today! Get your photos off your computer and on your wall! Metal Prints are available in 4 different surfaces: High Gloss, Satin, and Sheer with a Glossy or Matte finish. You've never seen a more brilliant and impressive print! Colors are vibrant and the luminescence is breathtaking. Detail and resolution are unsurpassed. To compliment this unique printing method, we also offer a variety of ultra-modern ways to hang and display your Metal Prints. Luxury Style Frames are a unique and beautiful way of displaying your custom art photos. Whimsical yet elegant shapes frame your images for a one of a kind artistic display. The frames are handmade wood frames with a non-glare acrylic image cover. Luxury style frames can be hung together or even included with a canvas grouping.